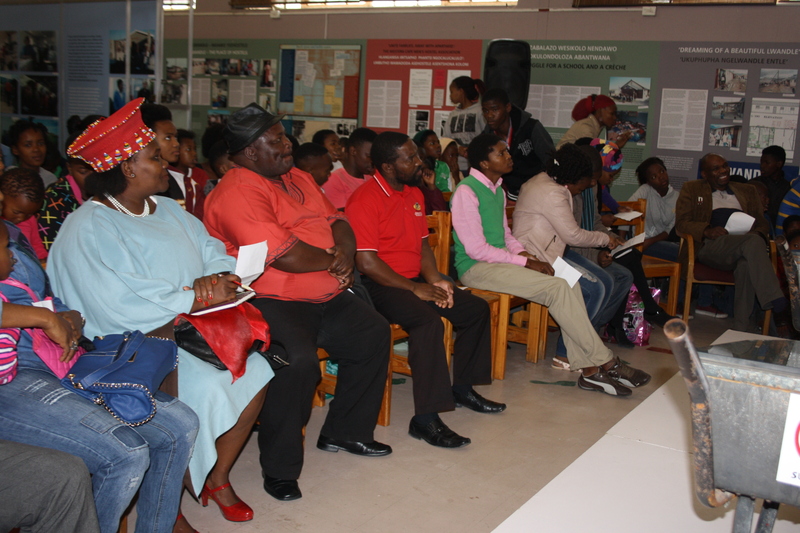 On the 1st of May 2015 the Lwandle Museum celebrated its 15th Anniverssary by commemorating Worker’s Day. 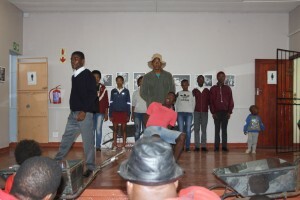 different stakeholders were invited to come and remember those wo fought for MAY DAY and to teach the young the meaning and importance of Worker’s Day. 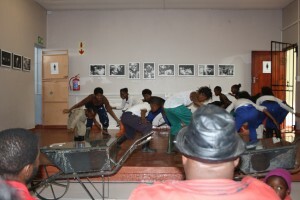 The Programme was directed by Sakhiwo Kapoko, a Radio Helderberg presenter. 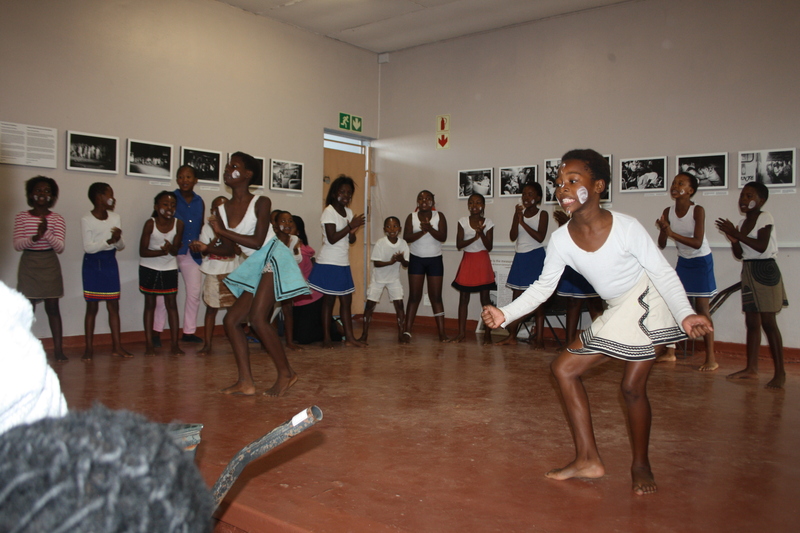 It was supported by the Board of trustees of the Lwandle Museum; Prof Leslie Witz representing the board as its chairperson. The chairman of COSATU in Lwandle Mr Edward Phibantu reminded those present about the treatment that Amgoduka used to have in the hostels and in tents that they were being accomodated in. 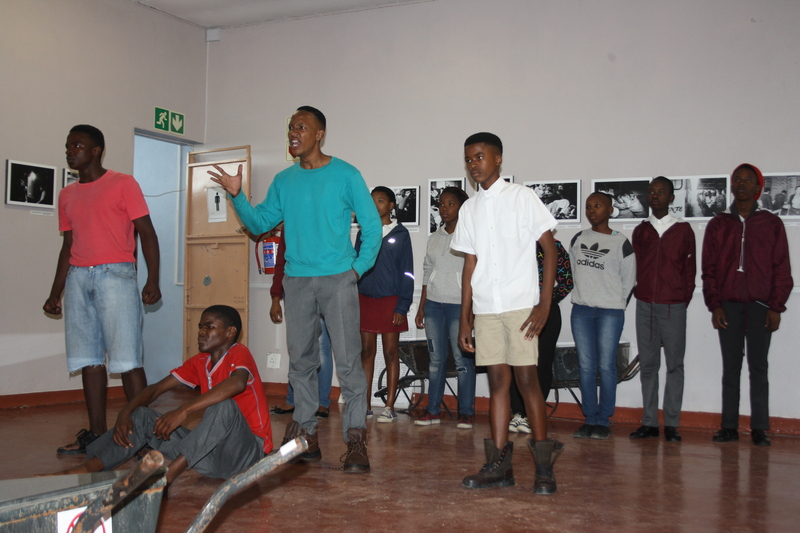 Abongile Sotiya shared the meaning of Democracy to Young people today and how young people are working hard to leave a ;egacy behind that the next generation would be proud of. The event drew the attention of local media who came to document the whole proceedings and the ward councilor Mr Maxheke was very pleased with how everything was done and presented to the youth. 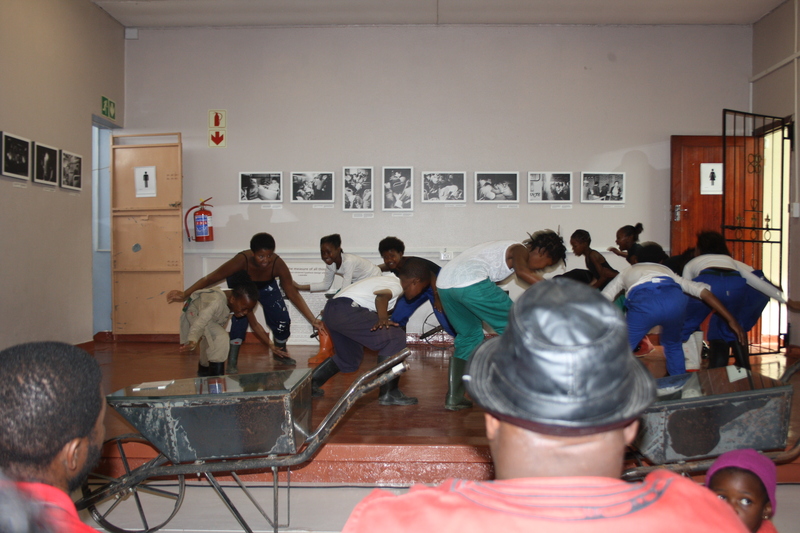 Amongst the entertainers were Pumla Skunana Kamulu, a poet who recited her poem Migrant Labour, Khanyolwethu High School did a spectacular drama on migrant labour, Sinebhongo did a traditional dance piece while Rise and Shine Academy did the historic gumboot dance. 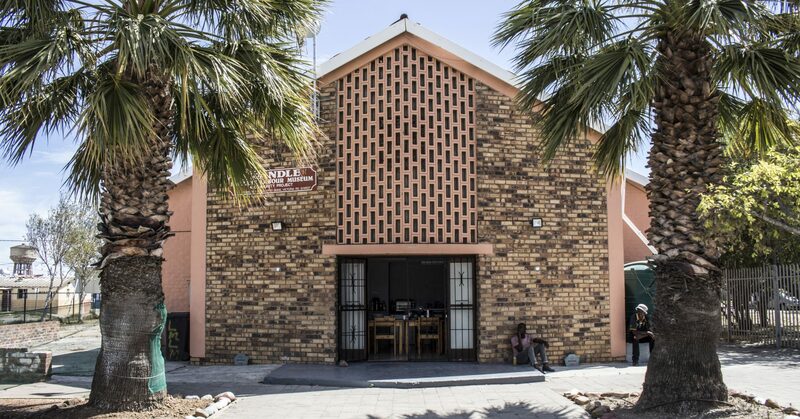 The Lwandle Museum would to thank those who have supported the museum from the very beginning until now, the neighbours of Hostel 33, the local community, its Board of Trustees, Staff Members and the local youth and Schools. 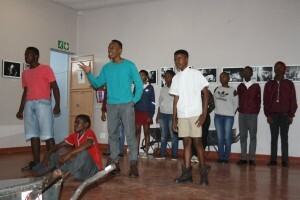 This entry was posted in Uncategorized on May 4, 2015 by LWANDLE MUSEUM.